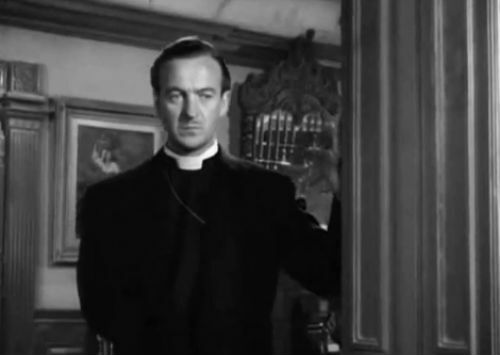 This is, of course, a review of the churches in these films, not the films themselves; which is probably for the best this week, as the original film and its remake share a frankly bizarre plot. A clergyman and his wife are having marital difficulties, so God sends an angel to have a platonic affair with the wife. You know, like the Creator of the Universe does. Fortunately, I don't have to explain why the title character of The Bishop's Wife, Loretta Young, seems oblivious to the fact that people will gossip if she goes dining and ice skating alone with Dudley the Angel (Cary Grant). 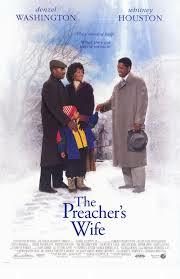 We don't have to puzzle over why the title character of The Preacher's Wife, Whitney Houston, thinks it's okay to "window shop" for a man other than her husband, mistaking angel Denzel Washington for a man. No, thankfully, we just have to look at the churches. 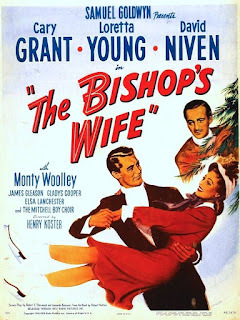 The Bishop's Wife has two Episcopal churches: St. Timothy's, the church where Bishop David Niven used to be pastor, and the other church he currently pastors in the film. I didn't catch the name of that church, so for our purposes we'll call it St. David's. 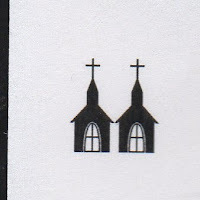 The church in The Preacher's Wife is Saint Matthew's, an unusual name for what seems to be a Baptist church. We'll look at different aspects of ministry in each of these churches. FOCUS AND VISION: The leadership of both St. David's and St. Matthew's seems primarily concerned about the building program and fundraising. For some reason, most churches in Hollywood films (from Going My Way to Sister Act) seem primarily concerned with building programs and fundraising. I've attended enough congregational and leadership meetings to attest to the fact these are among the more dull functions of a church. St. Timothy's, on the other hand, seems to be primarily concerned with its music program, their boys' choir. MUSIC PROGRAM: As just mentioned, St. Timothy's has a quite wonderful boys' choir. The highlight of the film for me was their performance of Charles Gounod's "Noel." The choir does have a rather odd rehearsal schedule -- the boys come together for one song and then depart. But it seems to work. There's not much to say about St. David's music program. As for the music at St. Matthew's, with Whitney Houston as choir director and soloist and Lionel Richie playing the piano, there certainly is a degree of excellence. PASTORAL LEADERSHIP: The current pastor at St. Tim's seems to be a good guy, but is rather obsequious toward the Bishop. Bishop Henry used to be fun and compassionate but has become weary and burdened. Preacher Henry seems incapable of delegating; he takes on every ministry of the church -- from visitation to youth ministry to preaching to legal representation -- on his own. TEACHING AND PREACHING: We don't really learn much about the teaching at St. Timothy's, but the theology of the one song we hear sung there is sound. The final sermon we hear at the end of The Bishop's Wife isn't too bad. It's about not leaving Christ out of Christmas. Of course, it's written by Dudley the Angel, but the Bishop takes the credit. The teaching at St. Matthew's is pretty awful. The preacher's final sermon is sort of a new age "we just have to believe in ourselves and we can do anything if we just believe" kind of thing. PRAYER: Again, nothing about prayer from St. Timothy's. The Bishop does pray for the problems of the church and learns to accept God's will rather than his own in answer to his prayers. Preacher Henry, on the other hand, presents one of the worst analogies I've ever heard about prayer. While talking to a young man facing trial he says, "Do you play basketball? Prayer is like when you take a shot and the time between the shot and the basket, you hope. And that is what prayer is like." So I guess in that analogy: Shooter = Person Praying, Shot = Prayer, Basket = God. As someone who is a horrible shot in basketball, I must say I really hate that analogy. If I had to have a sports analogy for prayer, I'd rather compare it to a son having a catch with his father like in Field of Dreams. So if I had to choose one church to go to, it would be St. Timothy's, because they really do have a good boys' choir. 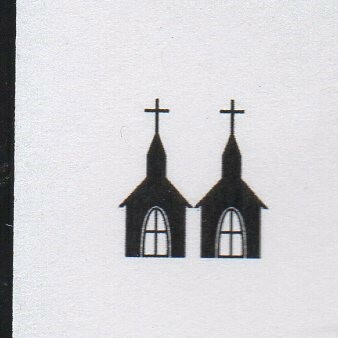 But I’m only giving two steeples to each church. They even provide you with hot topics that they are anxious to get material about. After getting a video at the local store the user would have overnight or perhaps one week filme online to return the movie but an online rental would allow them to keep the movie for an unlimited period of time.